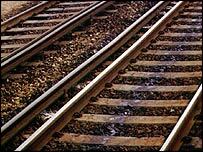 Reopening the Harrogate to Ripon railway line would be economically viable, a feasibility study has shown. The report by transport consultants JMP examined the likely levels of passenger and freight demand and the impact on the economy and environment. A new track linking Ripon and Harrogate would cost around £40m and attract some 1,200 passenger journeys per day. However, the consultants do not find there is a case for reopening the line north of Ripon to Northallerton. Alan Beswick of JMP said the study had been conducted by talking to local residents and business and looking at journey patterns at the moment. From this they had concluded that most demand would be from those who work in Harrogate or Leeds, although a northern extension might be feasible some time in the future. The study was commissioned last autumn and was funded by the Countryside Agency, North Yorkshire County Council and Ripon City Partnership. There have been no rail services between Harrogate and Ripon since the Beeching cuts of the 1960s. It is now up to the organisations who funded the report to decide if they want to lobby the Strategic Rail Authority for the line to be re-opened. But building the line is only part of the problem. "Typically these sort of lines recover only about a third or a half of their running costs through fares," Mr Beswick explained. "There would be an on-going need to subsidise it." If all went well, it is possible, according to Mr Beswick, that the new line could be open by 2012.